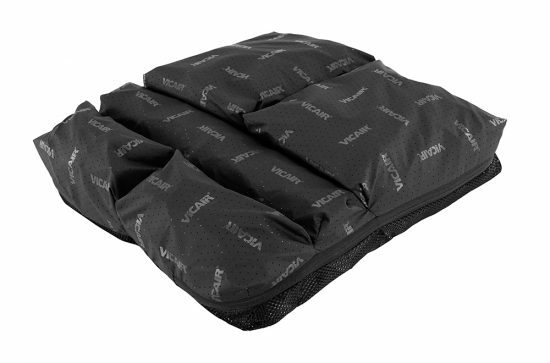 The EquaGel adjustable protector cushion is contoured to evenly distribute weight. 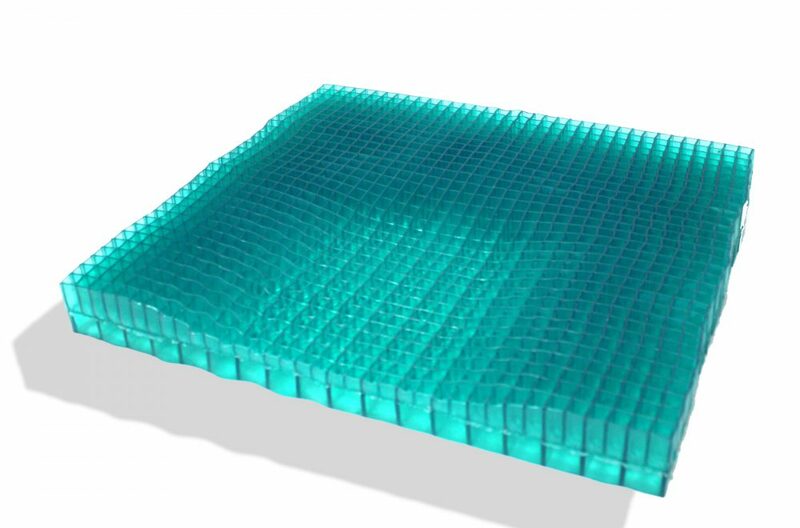 The cushion is constructed from two layers of dry-polymer gel. 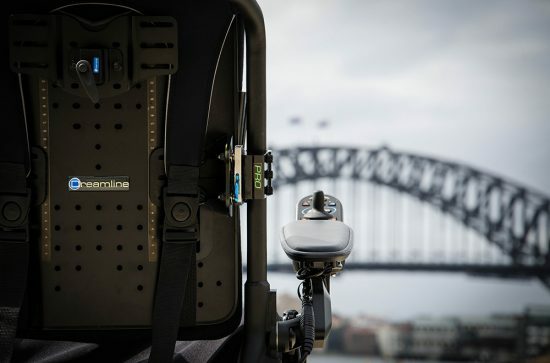 The top or ‘comfort’ layer comprises a thin wall of gel while the lower, thicker gel layer maintains posture support. This support comes from a weigh-passing and buckling action said to give a ‘free-floating’ effect to peak pressure points while maintaining support to thighs and buttocks. The pelvic area of the cushion is contoured to distribute weight more evenly than a flat cushion while retaining 1¼” of gel under pressure points. Also included are two pelvic contour inserts that can increase the amount of pelvic gel under the pelvis. The cushion comes with a flame and fluid resistant cover.